On September 22, 2016, Friends of Mystery welcomes Jon Talton to open our the 2016-2017 Bloody Thursday season. 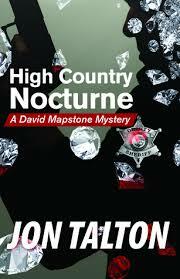 Jon Talton is the author of 11 novels, including the David Mapstone mysteries and the Cincinnati Casebooks. His latest book, High Country Nocturne, was awarded the 2016 Spotted Owl Award. We will be presenting the award to Jon at this event. Bloody Thursday is open to the public and takes place at The Old Church. The event begins with a reception (with cash wine bar) at 7:00pm, followed by Jon’s presentation at 7:30pm.